A priest is the leader of an individual Christian church and ministers to the congregation Sunday mornings (and at other times as well). Delivering a sermon inspired with God’s word, a priest acts as a teacher of scripture as well as a nurturer of all the souls in his congregation. From baptisms, marriages and funerals, a priest is there to provide guidance over all of life’s important events. A priest. 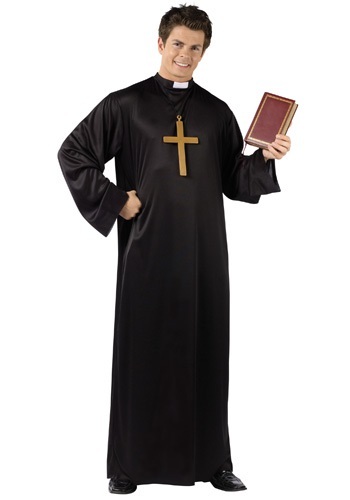 costume typically consists of black robes with the signature stand up black and white tabbed collar. 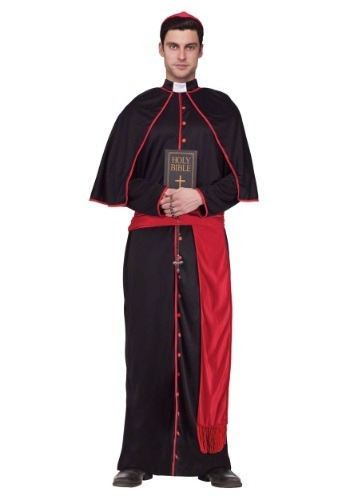 Depending on the religious denomination of Christianity, various vestments of religious significance will be worn in addition to the priest costume. 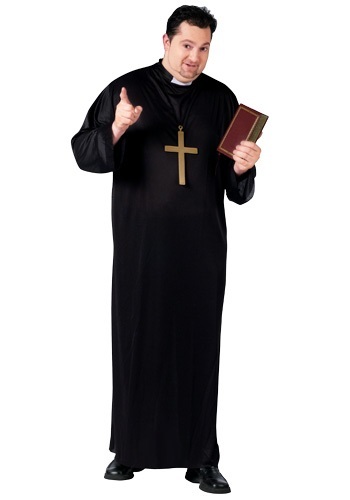 A priest costume can also be quite casual, as some ministers of modern churches wear just black pants and a black shirt with the signature priest collar. Invite a Nun to accompany you in the traditional nub habit of black robes with white collar and cuff with the “flying nun” hat. 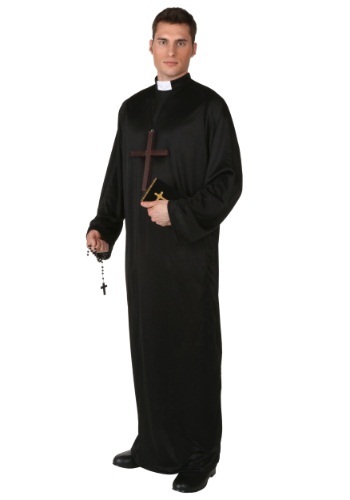 For an extra holy touch, add rosary beads or a cross necklace to your priest costume.